Botulinum Toxin (BTX) has become a widely used treatment in several dystonic conditions, but the evidence for its efficacy has largely come from open trials and expert opinion. This systematic review examined the efficacy and safety of BTX in the treatment of Focal Hand Dystonia (FHD) in Randomized Controlled Trials (RCTs). We searched Ovid MEDLINE, EMBASE, Cochrane Database of Systematic Reviews (CDSR), Database of Abstracts of Reviews of Effects (DARE), Cochrane Central Register of Controlled Trials (CENTRAL), CINAHL, SPORT Discus, SCOPUS, Web of Science, PEDro, ClinicalTrials.gov, and the International Clinical Trials Registry Platform (ICTRP) for randomized, placebo-controlled trials on the use of BTX for FHD. Of 1,116 publications retrieved from the databases searched, three publications were included. The evidence identified pertains to focal task-specific hand dystonias. Sixty-nine participants were involved in the three RCTs with a mean duration of symptoms of 7.5 years. Participants were assessed using a combination of self-reported and functional performance outcome measures following injections of BTX subtype A (BTX-A) or placebo. The Oxford Quality Scale was used to assess the included studies, and the three studies each scored 3/5 or above. The included studies reported no adverse events with BTX-A use, other than muscle weakness and pain at the injection sites. The number of participants included in these three trials is too small to draw dependable conclusions about the efficacy and safety of BTX-A for FHD. There is currently not enough evidence to recommend the routine use of BTX-A for FHD. 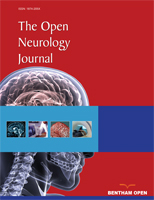 Keywords: Botulinum toxin, Clinical trials, Dystonia, Meta-analysis, Systematic review. © 2019 Ashworth et al.